Harvard University Press, 9780674057579, 297pp. Once in a great while, as the New York Times noted recently, a naturalist writes a book that changes the way people look at the living world. John James Audubon's Birds of America, published in 1838, was one. Roger Tory Peterson's 1934 Field Guide to the Birds was another. How does such insight into nature develop? 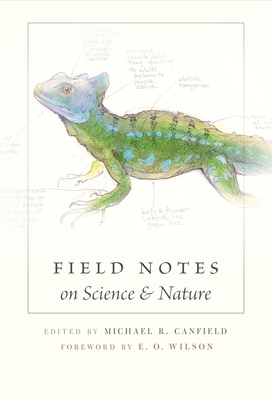 Pioneering a new niche in the study of plants and animals in their native habitat, Field Notes on Science and Nature allows readers to peer over the shoulders and into the notebooks of a dozen eminent field workers, to study firsthand their observational methods, materials, and fleeting impressions. What did George Schaller note when studying the lions of the Serengeti? What lists did Kenn Kaufman keep during his 1973 "big year"? How does Piotr Naskrecki use relational databases and electronic field notes? In what way is Bernd Heinrich's approach "truly Thoreauvian," in E. O. Wilson's view? Recording observations in the field is an indispensable scientific skill, but researchers are not generally willing to share their personal records with others. Here, for the first time, are reproductions of actual pages from notebooks. And in essays abounding with fascinating anecdotes, the authors reflect on the contexts in which the notes were taken. Covering disciplines as diverse as ornithology, entomology, ecology, paleontology, anthropology, botany, and animal behavior, Field Notes offers specific examples that professional naturalists can emulate to fine-tune their own field methods, along with practical advice that amateur naturalists and students can use to document their adventures.